Located off Oxford Road opposite the Whitworth Hall, Brunswick Park is the largest green space on the University of Manchester campus and includes seating areas, tree, shrub and wildflower planting and pedestrian/cycle paths. The parkland was created on the site of the former Brunswick Street to benefit staff, students, visitors and the local community, and is a central part of the University’s Campus Masterplan vision. 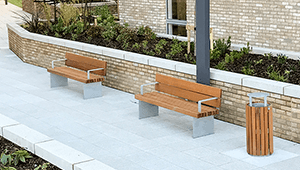 Bailey Streetscene were approached to provide street furniture elements and a substantial bespoke seating unit to the newly created parkland area. Detailed drawings were produced by our in house design team to ensure the final product coordinated with the clients wishes. 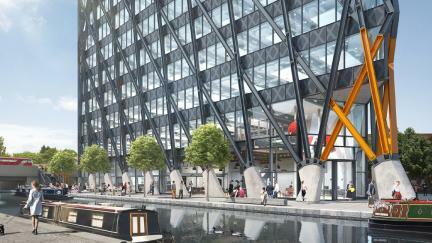 Working hand in hand with the architect and the contractor a concluding blueprint was produced. 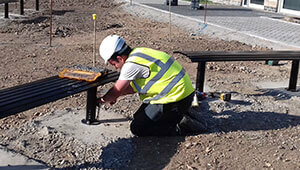 Due to the sheer size of the bespoke bench most of the work, including some of the final drawings, had to wait for the concrete and granite base detail to be in place to ensure accuracy in the installation and cost meaning around the clock work was needed to achieve the handover before the deadline. 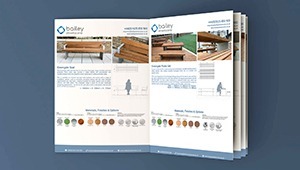 In addition to the monolithic bespoke bench Bailey Streetscene were tasked with producing bespoke Picnic Sets to match existing street furniture elements on the site, a number of these were produced, each seating up to 10 people including several wheelchair accessible versions. 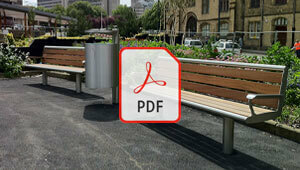 Due to the success of this design the Brunswick Picnic Set and Bench have been added to our product range. 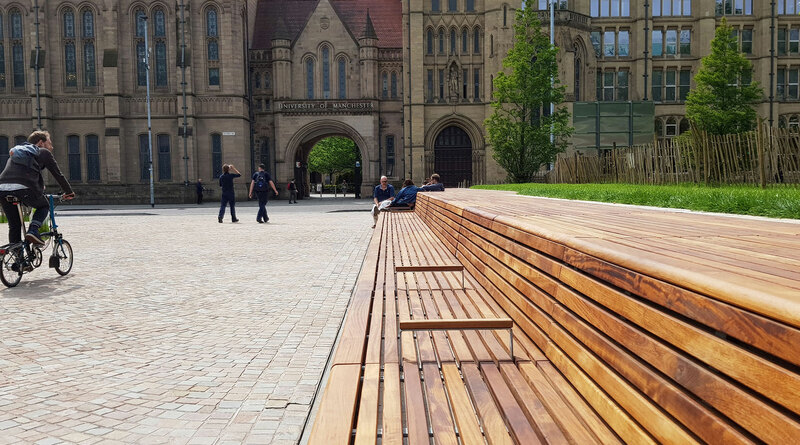 Stainless Steel Cycle stands and Concrete benches with timber cladding complete the suite of products for this vibrant green area in the heart of the University of Manchester campus. 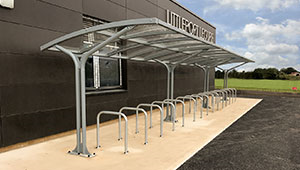 The final results are a stunning, unique in design and size seating area that complements the improvements being made to the surrounding area. 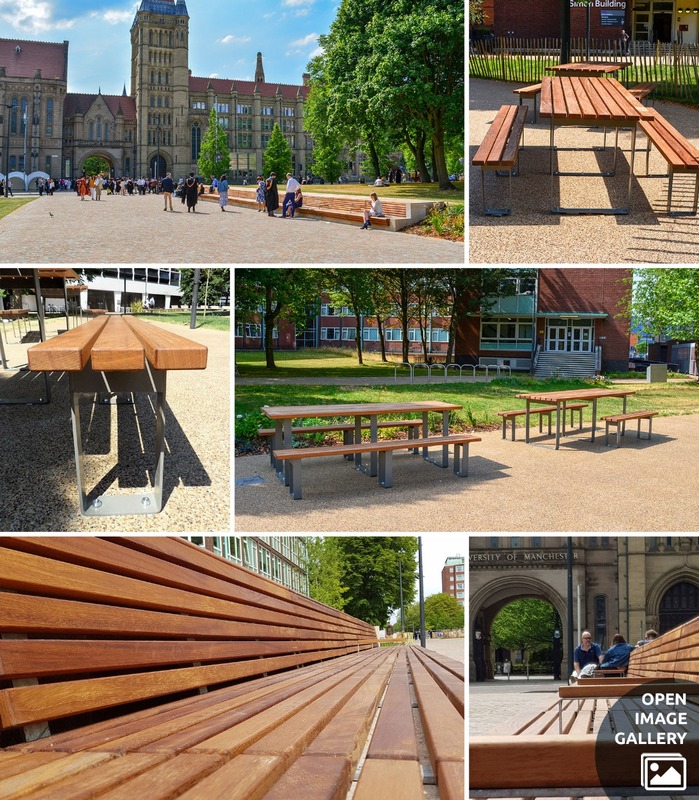 The ‘Brunswick Bench’ has created a calm and comfortable area to reflect away from the busy university and Manchester city centre. 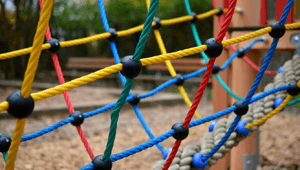 "Brunswick Park is a fantastic new asset, creating a heart of the campus for everyone to enjoy. We were proud to welcome staff and members of the local community to this event to celebrate our new green space and public realm."